Black Powder Coated double Wall Vacuum Insulated for extreme temperature retention! Made from kitchen grade 18/8 Stainless Steel the SIC cup is ready to roll with you anywhere you want. BPA and sweat free. Unbreakable, splashproof lid. Manufacturer Lifetime warranty! SIC Cups looks great laser engraved. 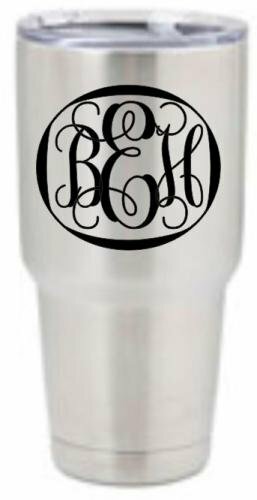 Add laser engraving to personalize your cup! Laser engraving includes one location silver engraving. Check out our Facebook page for engraving options. Blue Powder Coated double Wall Vacuum Insulated for extreme temperature retention! Made from kitchen grade 18/8 Stainless Steel the SIC cup is ready to roll with you anywhere you want. BPA and sweat free. Unbreakable, splashproof lid. Manufacturer Lifetime warranty! Hot Pink Powder Coated double Wall Vacuum Insulated for extreme temperature retention! Made from kitchen grade 18/8 Stainless Steel the SIC cup is ready to roll with you anywhere you want. BPA and sweat free. Unbreakable, splashproof lid. Manufacturer Lifetime warranty! Khaki Powder Coated double Wall Vacuum Insulated for extreme temperature retention! Made from kitchen grade 18/8 Stainless Steel the SIC cup is ready to roll with you anywhere you want. BPA and sweat free. Unbreakable, splashproof lid. Manufacturer Lifetime warranty! Mint Powder Coated double Wall Vacuum Insulated for extreme temperature retention! Made from kitchen grade 18/8 Stainless Steel the SIC cup is ready to roll with you anywhere you want. BPA and sweat free. Unbreakable, splashproof lid. Manufacturer Lifetime warranty! Salmon Powder Coated double Wall Vacuum Insulated for extreme temperature retention! Made from kitchen grade 18/8 Stainless Steel the SIC cup is ready to roll with you anywhere you want. BPA and sweat free. Unbreakable, splashproof lid. Manufacturer Lifetime warranty! Seafoam Powder Coated double Wall Vacuum Insulated for extreme temperature retention! Made from kitchen grade 18/8 Stainless Steel the SIC cup is ready to roll with you anywhere you want. BPA and sweat free. Unbreakable, splashproof lid. Manufacturer Lifetime warranty! White Powder Coated double Wall Vacuum Insulated for extreme temperature retention! Made from kitchen grade 18/8 Stainless Steel the SIC cup is ready to roll with you anywhere you want. BPA and sweat free. Unbreakable, splashproof lid. Manufacturer Lifetime warranty! Stainless steel double wall tumbler. Available in 20 oz. & 30 oz. Keeps ice cold and coffee hot for hours. Looks great with laser engraving.